6.5" Professional Hairdressing Cutting & Thinning. 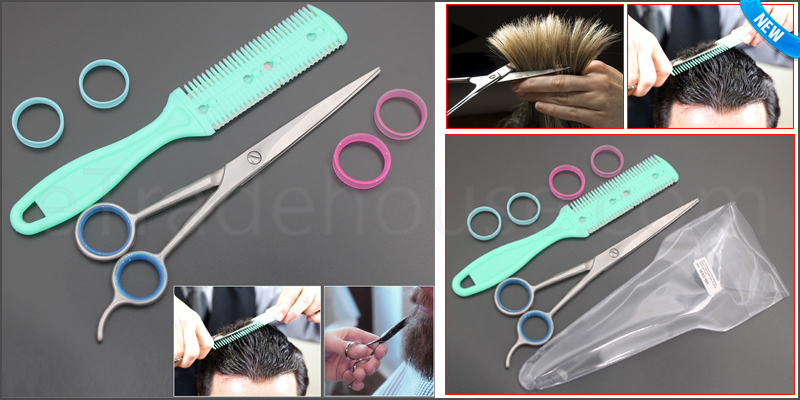 6.5 Inches Professional Hairdressing Cutting & Thinning Razor Scissors Set. Hair Cutting Scissor and Thinning Razor Set. Ideal for Beginners, Professional Hairdressers and Barbers. Fixed Finger Rest and 2 Colours Finger Inserts for Extra Cushioning. Light Weight and Extremely Smooth Hair Cutting Set. High Quality SS Stainless Steel& Plastic Hair Thinning Razor. 1x 6.5 Inches Professional Hairdressing Scissors.